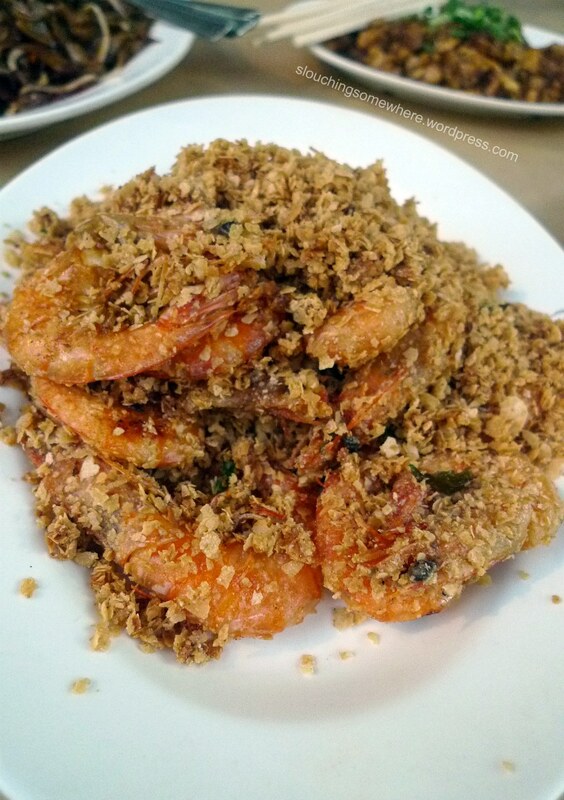 Anyone who’s been to Singapore swear by its food. Due to the country’s cultural diversity–a melting pot of mostly Chinese, Indian, and Malay–it’s no wonder that the food scene thrives. Eating out is often considered a national pastime and I made sure to participate on my most recent trip. 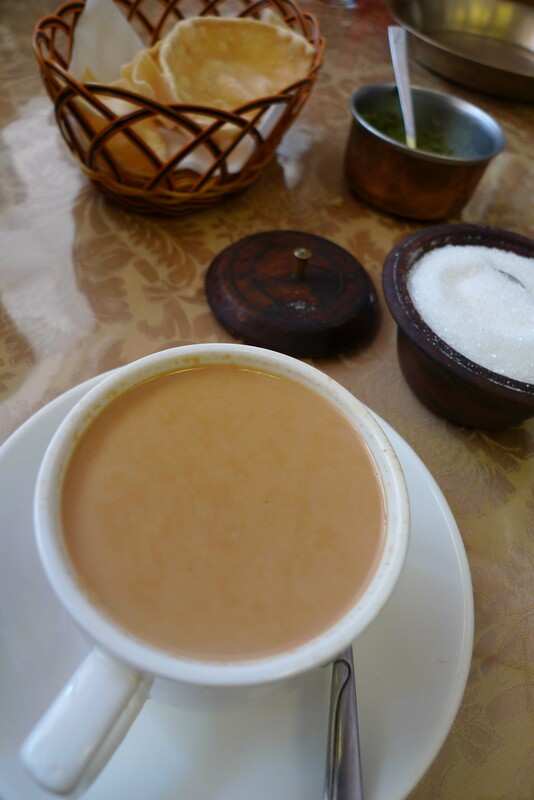 For all of Singapore’s signature dishes, it was amusing that for my first two meals, my friends treated me to a delicious Taiwanese dinner in Din Tai Fung (love the xiao long bao; have no photos to show for it though) and a Nepalese brunch at Everest the following morning. Both were excellent, so who was I to complain. When we went to the Night Safari Zoo, P (who had just arrived and was famished) wanted to grab a bite to eat before we hopped on the tram. 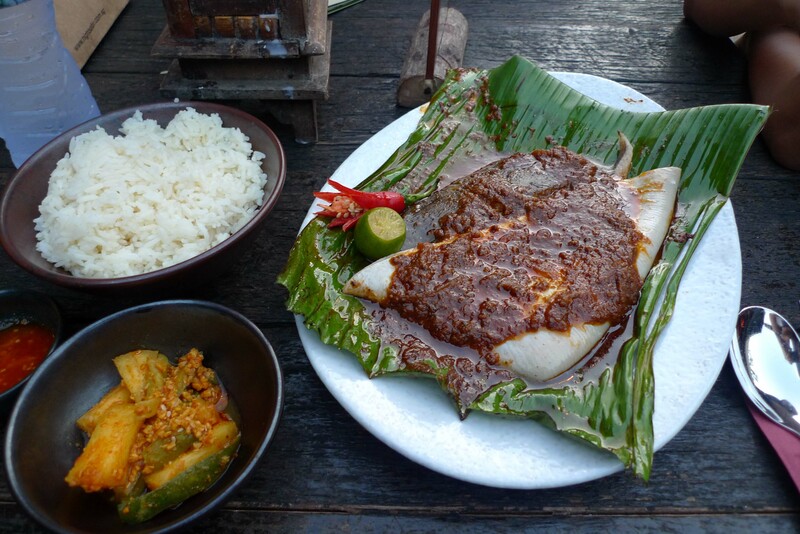 I recommended the sambal stingray because I wanted to taste it as well, forgetting the fact that P only likes it mildly spicy and the sambal was far from mild. He liked it though. He just tried to eat it as fast as he could; maybe his taste buds wouldn’t notice the serious beating it was getting. After the Night Safari, we went to the hawker center Lau Pa Sat (18 Raffles Quay) for dinner with our friend Terrie. It’s considered by some local foodies as the best place to get good satay (for Pinoys in SG, it is also where Tapa King and the lechon stall Mang Kiko’s are located). Its outdoor area along Boon Tat Street (opened only in the evening) has so many satay stalls (and quite the aggressive stall owners and street vendors), but I gravitated toward stall #8, which was called “Best Satay.” And what do you know? There is still truth in advertising. I was prepared not to like Singapore. I have been holding a petty grudge against it a few years back, since it started luring a few of my close friends to work there. (What with the promise of higher salaries for the same work you do in your own country, yeah most people would bolt.) It didn’t help that when I first went there more than six years ago for an overnight work-related trip, all I saw was Orchard Road and what seemed like a long stretch of shopping centers and high-rises. As first impressions go, it appeared like a sleek city of shopping and I wasn’t much of a shopper. But two months ago, when my brother-in-law was invited to have a photo exhibit in White Canvas Gallery in Singapore, I took it as an excuse to finally see my friends in the country they now call home and spend more than a night (four nights, to be precise), getting to know the small city-state that travel guides tout packs a lot of attractions. Among its attractions, what I was most interested to see were the districts that possessed culture and character in every corner. Singapore had been criticized for the lack of both when it began to prosper back in the 1970s and 80s. But it does have them, albeit too gentrified for some. 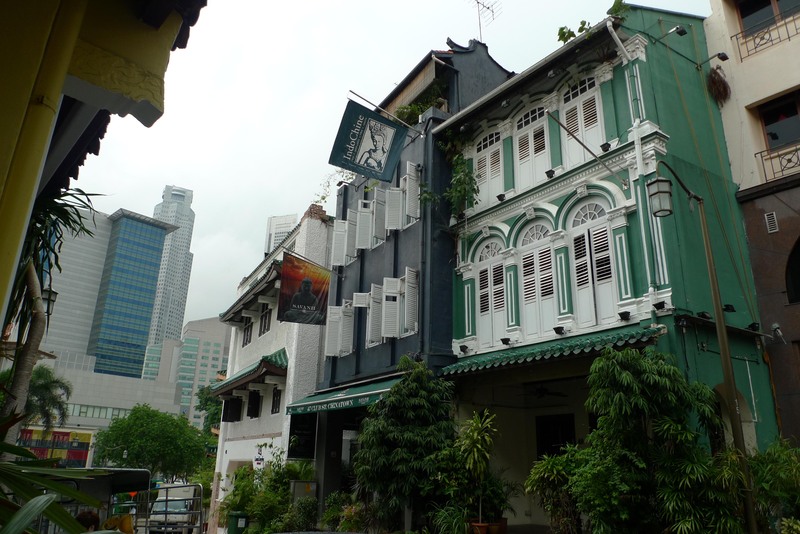 And the charming shophouses definitely boast both culture and character in its history and architecture. 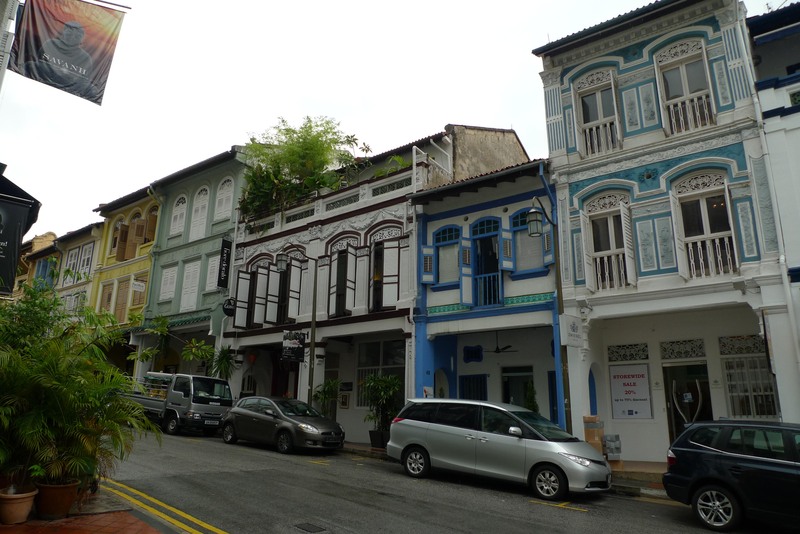 Shophouses were the one thing I immediately loved about Singapore. Heritage buildings from the 19th and early 20th century, they stand at two or three stories, typically narrow, and often restored with its intricate curves and arches and lovely combination of colors. 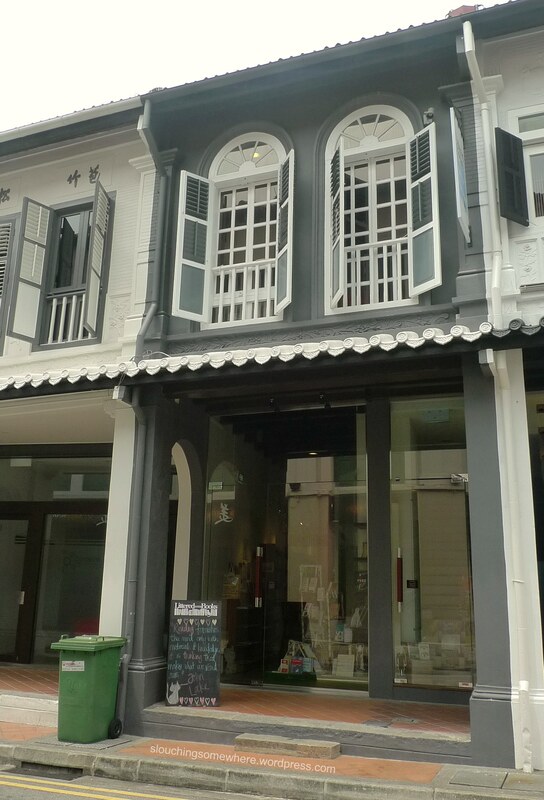 Originally, the structure of a shophouse featured a work space for the ground floor and residential quarters for the upper levels. 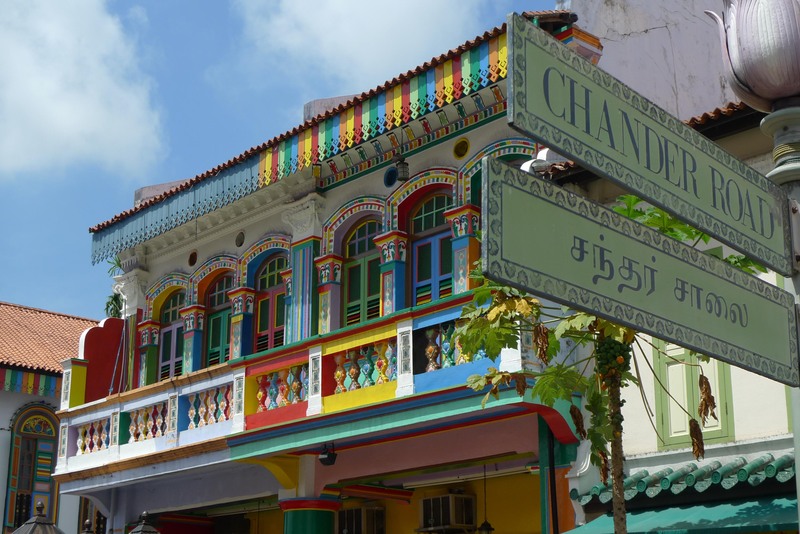 Thankfully, they still line (or dot) several areas, Chinatown, Kampong Glam, Emerald Hill and though not as well-restored (and it seems the least gentrified), a few in Little India. First stop: Little India. Can you say colorful?